Liver Nourishment is important. We hear much about doing liver cleanses but is the liver really dirty? I am certain I would prefer to think of my liver in a more positive and health giving way. This amazing, large organ does much to filter my blood, digest my food, and contributes to way too many bodily processes to write them all here. Liver cleansing / nourishing has benefits for your health and longevity. A healthy liver helps to maintain balance in the female reproductive tract and helps to keep female hormones balanced (All body hormones!). Think of it as nourishing your liver, fortifying it with the nutrients it needs to do its blood filtering, digestive, and many other jobs well. I will share with you a very simple way to nourish the liver as it goes about its non-stop job of filtering your blood. Spending a few days focusing on nourishing this important organ is a good way to prevent disease and heal your body. Love your liver with whole foods, liver specific herbs, and relaxation. While relaxing, visualize your liver as being healthy, clean, vibrant tissue! Raw food fast for 3 days: Eat local, seasonal berries and fruit in the AM. Add raw nuts and seeds to this fruit to up the fat and protein content of your diet and keep your appetite satiated. At lunch and your PM meal: eat raw vegetable salads and raw nuts and seeds. Get motivated and sprout some raw nuts and seeds or whole grains to add to your liver nourishing diet. Try raw, fermented veggies as a fun, “extra” food while nourishing the liver. Enjoy raw avocado as healthy fat and satiating food. Holistic Love Caution for Your Blood Sugar & Beta Cells: If you are pre-diabetic, diabetic, or have any metabolic syndrome – blood sugar issue, keep your intake of fruit at a conservative level and eat more vegetables, nuts, and seeds. If you have diabetic tendencies, do not do a “juice or herbal tea only” liver cleanse. AM or PM nourishing liver flush: Drink this tasty little beverage before eating any food; just mix together and drink it up! Or you can drink it just before going to bed. You can use this simple liver flush in the PM and/or the AM. I have clients who drink it in the AM because they drink their Essiac detox tea at night. 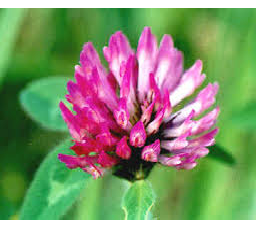 Detox Liver Nourishing Infusion: Purchase an ounce of each of these herbs: cut burdock root, cut dandelion root, nettle leaf, dandelion leaf, red clover blossom. Every evening heat 1 quart of water. When the water is simmering, turn to very low heat and simmer 1 Tbsp. 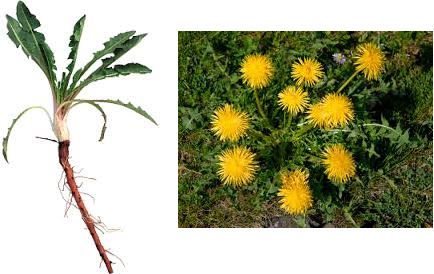 each of the burdock and dandelion roots for 10 minutes. Be gentle, not a rolling boil, but a very gentle simmer to preserve the nutrients. Always simmer and steep with the cover on the pot. Relaxing habits when doing a liver nourishing cleanse: Drink plenty of fluids throughout your day; get much good, restful sleep; always eat in a calm environment (without screens) and chew very slowly and thoroughly; yoga; massage; relaxing by the fire or under a favorite tree (this is a seasonally dependent behavior!) while reading a good book…the point is for you to nurture the whole you and make your liver feel at peace and loved. Get outside and move your body. This increases circulation to your liver and every body cell for better delivery of nutrition and oxygen and better removal of waste products. You get a good dose of fresh air and natural light while outside! And remember, as my son Eli said when he was only 8 years old: “Just lift the corner of the clouds and the sun is always shining." You do get natural light, for better mood and sleep, even on cloudy days! Taking milk thistle for a couple of weeks after a three day nourishing cleanse can help to nourish and rebuild the liver. 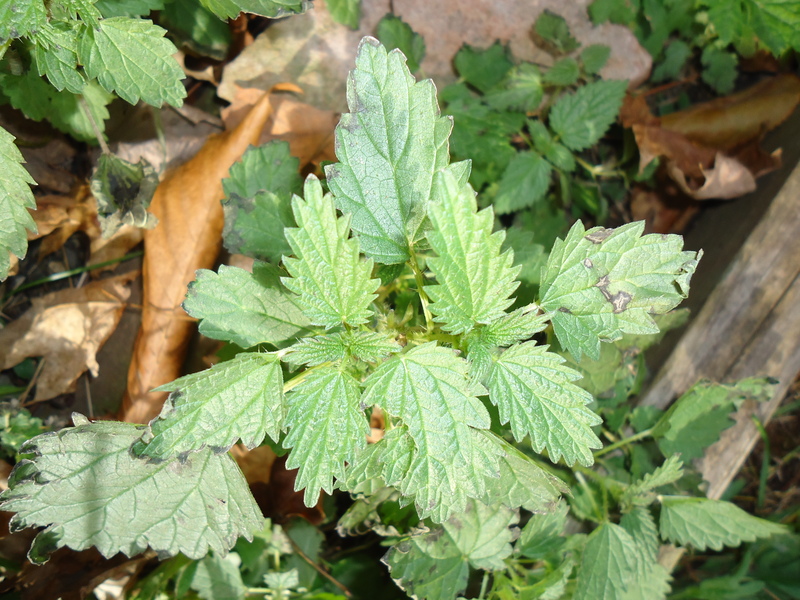 You can make milk thistle into a medicinal infusion mixing with stinging nettles. Again, simmer the milk thistle seeds, very gently for 10 minutes, shut off heat and add the nettle leaves. Let the infusion “tea” sit over night to brew and steep. Love your liver; nourish your liver. Yesterday, I listened to the Eight O'clock Hour NCPR show on the Kent Family Growers: A Year On the Farm, Staying Local and Growing the Farm. Fun to hear the inside scoop from Dan and Megan, to know what goes on on the farm that grows my winter CSA food. As I was listening, I was grating root veggies and cabbage, 100% from the Kent Farm CSA, to make another 5 quart batch of my fermented root veggie kraut. The pile of veggies, awaiting grating, included 3 healthy sized celeriac roots. 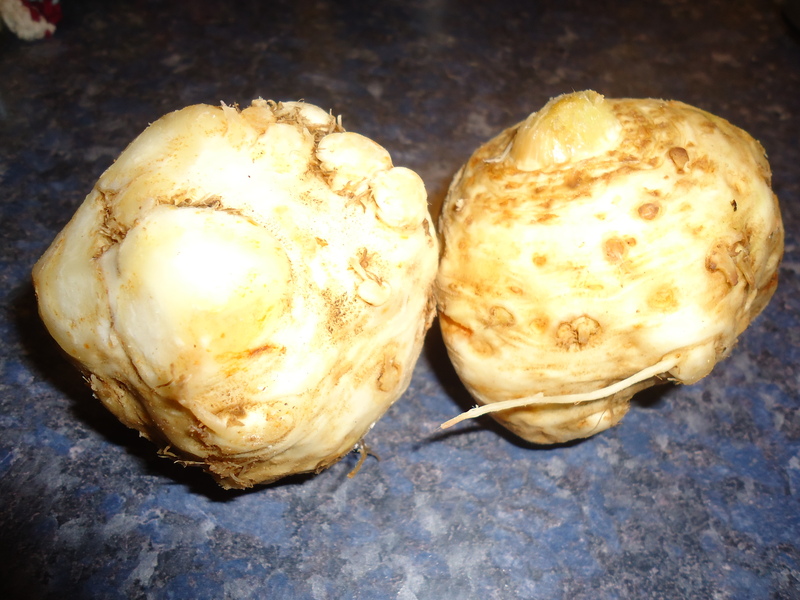 I had a chuckle when Dan made the statement that celeriac just does not "sell" well around here. His NYC market LOVES his celeriac! Seriously, people here in Northern NY don't love and crave this yummy little root? My goal is to convince you that celeriac IS worthy of your love! Why? OK, celeriac to me is like the burst of fresh air when you first open the door to go outside or when you throw open the windows in spring. That amazing smell of freshness in your nostrils and fresh taste in your mouth is what celeriac does for food... in my eyes (well, nose & mouth)! My favorite way to eat it is in my raw, grated veggie slaws; the winter salads in my home. It gives the salad an incredible burst of fresh flavor akin to eating stalks of celery. The beauty is you do not need to use stalks trucked in, to give us celery in the winter, from California and Florida. #2: Cooked with potatoes and mashed with lots of yummy butter. #3 to infinity... chopped and added to soups, stews, stir fries. Celeriac is even yummy grated and quick stir fried with butter, onions, and garlic. Looking down into the crock, the next batch of root veggie kraut. Kraut "out" date is March 13-17th, whenever I get around to scooping it out of the crock. Stop by for a sampling; experience the love celeriac adds to root veggie - cabbage kraut! Nature's Storehouse, in Canton, stocks Deep Root Raw Sauerkraut. Raw means the micro-organisms that are good for your gut are still alive! This is akin to "live active cultures" found in good yogurt. http://www.natures-storehouse.com/ You can buy Deep Root sauerkraut in the store, right out of the cooler. Nature's Storehouse hosts a Whole Share buy club option: http://www.wholeshare.com/join/1094 Through Whole Share, you can order Real Pickles and BAO Raw Slaw brands of raw sauerkraut. 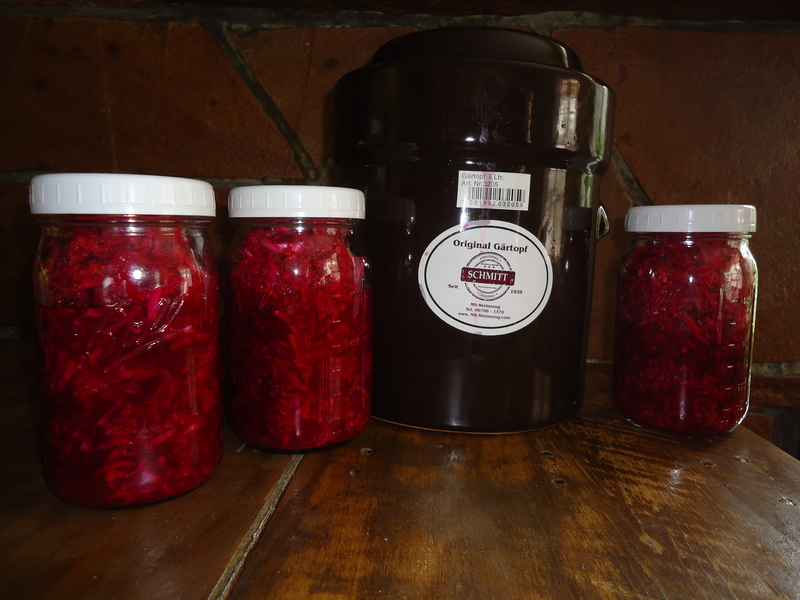 Both companies have other varieties of raw, fermented vegetables and are north-eastern companies! 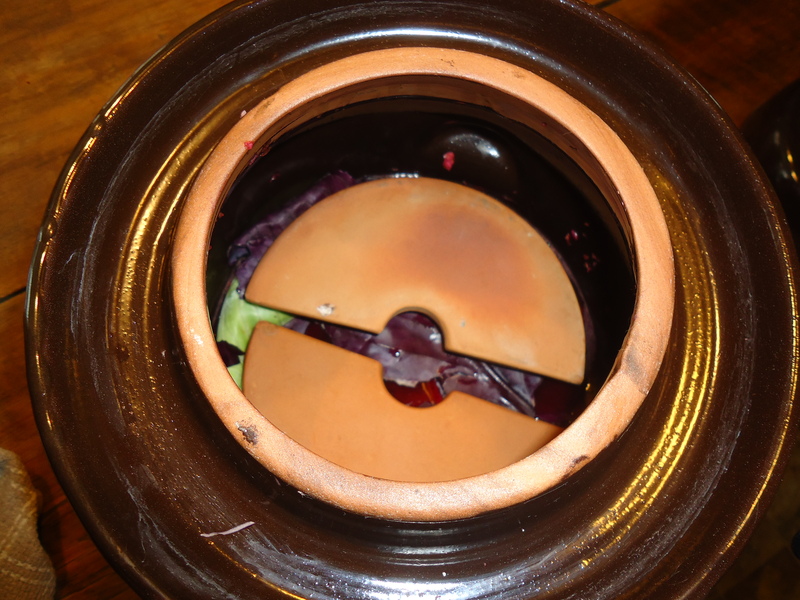 Deep Root makes a red cabbage kraut and beet/carrot fermented vegetable options. They are all very yummy and very gut healthy. Deep Root is not available through the Whole Share but is available through special ordering at Nature's Storehouse. Your choice, your gut health!